The list of museums in New York City lives up to the grand hype of this famous metropolis. Often marketed as a must-visit destination, landmark places and buildings in NYC are a fantastic way to learn about cultural, historical, and influences that have shaped not only the USA but communities across the globe. Whether you want free admission, kid-friendly or something cool and fun, these galleries and exhibitions step up to the podium as the world’s best. Maybe you want to see famous art masterpieces, entertain your kids with dinosaur bones, see interactive science displays, or learn about New York’s history, it’s all here. 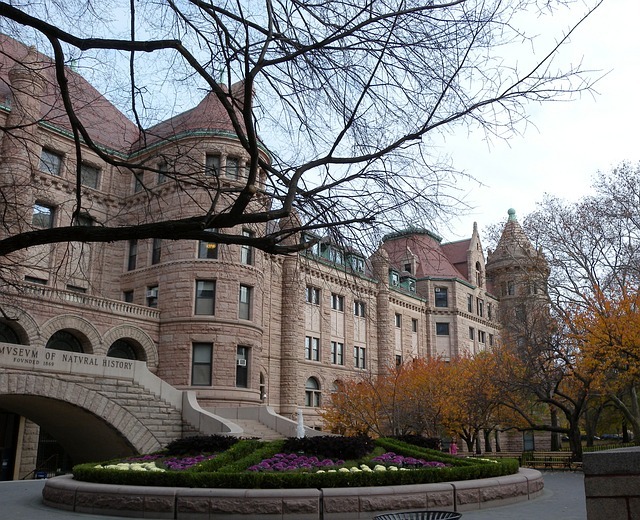 Open from 10 am to 5:45 pm on 79th Street and Central Park West, the Natural History Museum is a leading authority on cultural and scientific advancement over many centuries. Founded in 1869, its mission and vision statement are to discover and interpret human culture, nature and the universe through research, education and exhibitions. 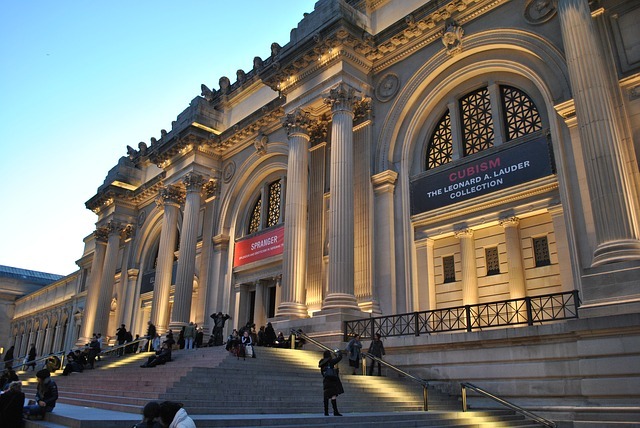 Founded in 1870, and open seven days a week, the Metropolitan Art Museum says their purpose is to collect, study, and preserve significant works of art so people can connect and share creativity, knowledge and idea. 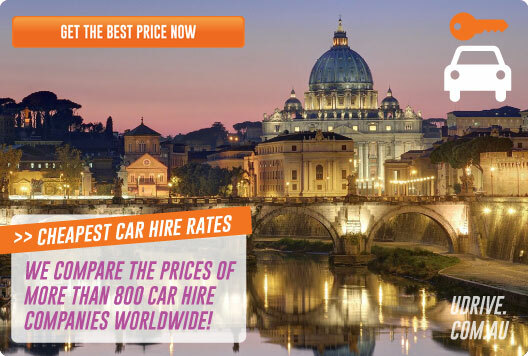 From ancient temple carvings and statues to Asian Buddhas and silkscreen paintings, famous masterworks of painters from all eras, and across the globe can be seen here. Technically a part of the Metropolitan Museum of Art, the Cloisters, a recreation of a medieval monastery, are filled with artwork from the period, including the world-famous Unicorn Tapestry, as well as illuminated manuscripts and stained glass. Sitting in four acres overlooking Hudson River, wander through medieval courtyards and enjoy nature in a quiet environment. The Solomon R. Guggenheim Foundation manages this museum, that is as famous for its unique architectural design alongside outstanding 20th and 21st-century artwork collections. The Foundation wants to explore cultural ideas through dynamic and educational initiatives and collaborations. 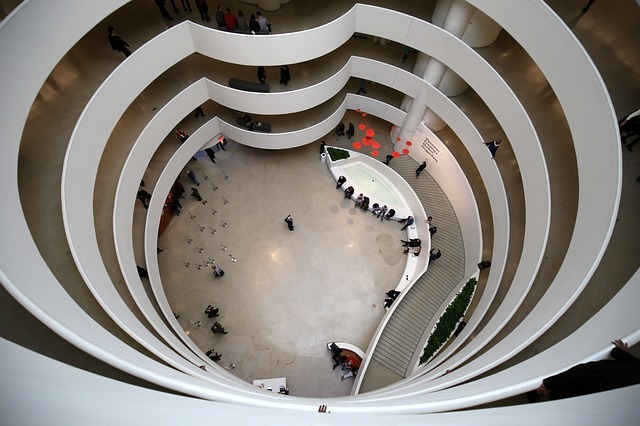 They say the “architecturally and culturally distinct museums, exhibitions, publications, and digital platforms, engage both local and international art lovers.” Founded in 1937, it is one of New York City’s most iconic landmarks. On the other end of the historical spectrum, no visit to New York would be complete without a stop at the Modern Art Museum which houses famous and iconic paintings including Van Gogh’s Starry Night, Picasso’s Demoiselle d’Avignon and Warhol’s Campbell’s Soup Cans. Also called MOMA, they want people to enjoy openness, tolerance, and creativity. Artwork features cultural, social and political themes and MOMA wants to share thought-provoking pieces that make you reassess everything you thought about living. Exploring events of 9/11, a day in history that shocked the world to its core, this 110,000 square feet exhibition hall within the World Trade Centre Site includes multimedia displays, narratives and artefact displays to tell the story of victims and survivors. The memorial section is a poignant tribute to 2,977 people who lost their lives. Acre-sized pools surrounded by manmade waterfalls and bronze panels containing names of every single person are the feature points and a place for people to remember the dead. Another notable landmark is the survivor Callery pear tree. Rescue workers discovered it in the rubble, and after being nursed back to health, it was replanted next to the memorial. Since 2010, even though it has visible damage from 9/11, new branches, yearly blooms and visible growth reflect resilience and survival. Without a doubt, the 9/11 memorial is one of the top visited museums in New York City. To explore other landmark buildings and places, our list of free attractions in New York City has plenty of ideas, from Times Square to the financial district. 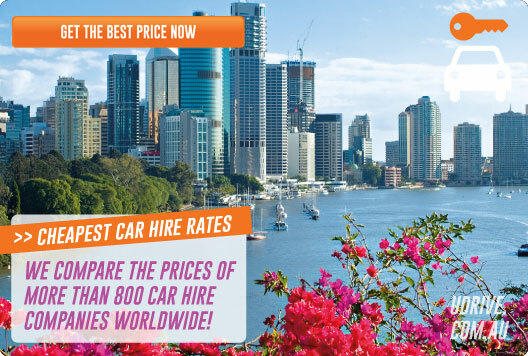 Otherwise, if you are doing a road trip that includes other destinations in the great USA, compare our New York car hire prices from suppliers in the city to get the best deals and discounts.